Lemon & Vanilla: Victoria Sponge Cake - Sweet World. Victoria Sponge Cake - Sweet World. 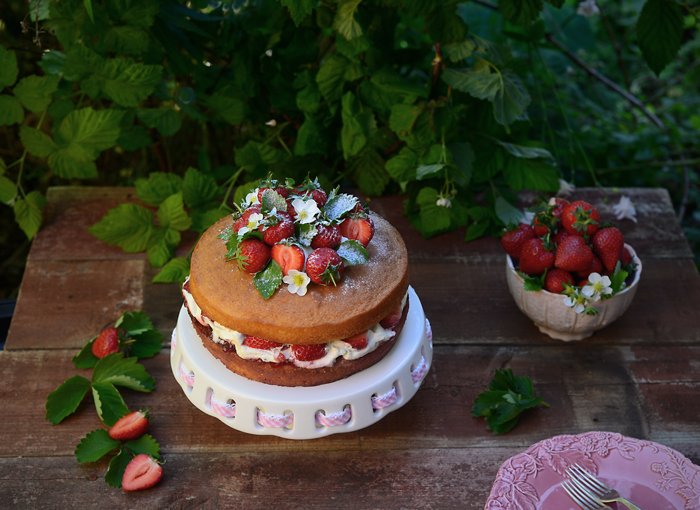 As you can read here, Victoria Sponge Cake is the theme for the 29th edition of the Sweet World! 29th!! Do you believe it? Amazing!! to say the least!! Sponge Cake is a cake based on flour (usually wheat flour), sugar, butter and eggs, and is sometimes leavened with baking powder. It has a firm yet well-aerated structure. In the United Kingdom a sponge cake is produced using the batter method, while in the US, cakes made using the batter method are known as butter or pound cakes. 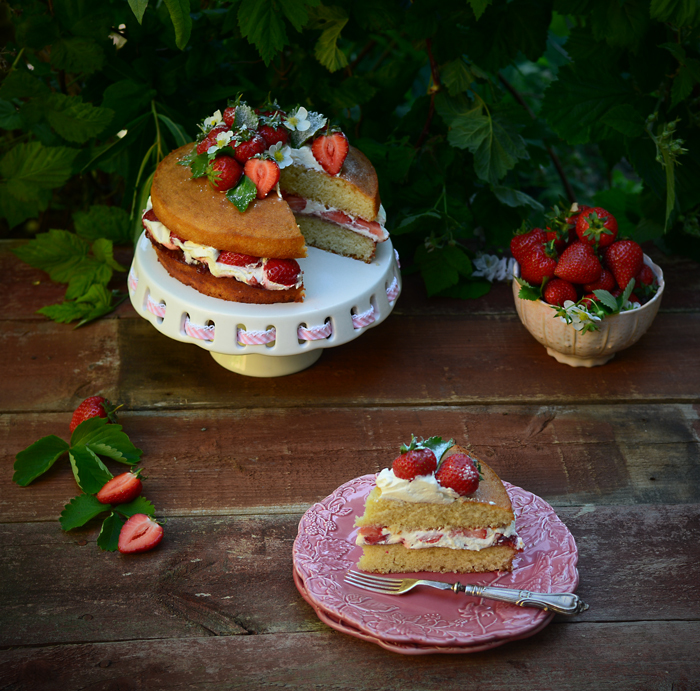 Two common British batter-method sponge cakes are the layered Victoria sponge cake and Madeira cake. The Victorian creation of baking powder by English food manufacturer Alfred Bird in 1843, enabled the sponge to rise higher than cakes made previously. Cakes made using the foam method are not classed as sponge cakes in the UK; these cakes are classed as foam cakes, which are quite different. These cakes are common in Europe, especially in Italian patisseries. The cake was first invented by the Italian pastry chef Giovan Battista Cabona (called Giobatta), at the court of Spain with his lord, the Genoese marquis Domenico Pallavicini, around the middle of the 16th century. The sponge cake is thought to be one of the first of the non-yeasted cakes, and the earliest attested sponge cake recipe in English is found in a book by the English poet Gervase Markham, The English Huswife, Containing the Inward and Outward Virtues Which Ought to Be in a Complete Woman (1615). Though it does not appear in Hannah Glasse's The Art of Cookery made Plain and Easy (1747) in the late 18th century, it is found in Lydia Maria Child's The American Frugal Housewife (1832), indicating that sponge cakes had been established in Grenada in the Caribbean by the early 19th century. Variations on the theme of a cake lifted, partially or wholly, by trapped air in the batter exist in most places where European patisserie has spread, including the Anglo-Jewish "Plava", Italian Génoise, the Portuguese Pão-de-ló, and the possibly ancestral Italian Pan di Spagna ("Spanish bread"). 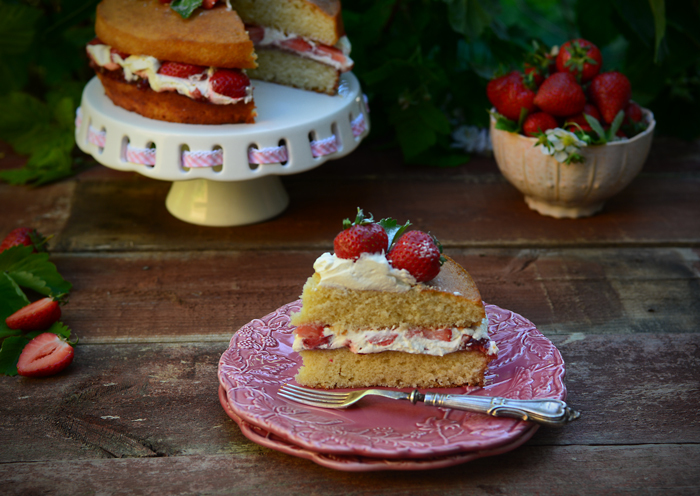 Victoria Sponge Cake is a two-layer airy sponge cake, that is filled with a layer of jam and whipped cream. It is cut into small “sandwiches” and served in a similar manner. Also know as Victoria Sandwich and Victorian Cake, the Victoria Sponge Cake is considered the quintessential English teatime treat. Anna, the Duchess of Bedford (1788-1861), one of Queen Victoria’s (1819-1901) ladies-in-waiting, is credited as the creator of teatime. As the noon meal had become skimpier, the Duchess suffered from “a sinking feeling” at about four o’clock in the afternoon. At first the Duchess had her servants sneak her a pot of tea and a few bread stuffs into her dressing room. Adopting the European tea service format, she invited friends to join her for an additional afternoon meal at five o’clock in her rooms at Belvoir Castle. The menu centered around small cakes, bread and butter sandwiches, assorted sweets, and, of course, tea. This Summer practice proved so popular, the Duchess continued it when she returned to London, sending cards to her friends asking them to join her for “tea and a walk in the fields. The practice of inviting friends to come for tea in the afternoon was quickly picked up by other social hostesses. Queen Victoria adopted the new craze for tea parties and by 1855, the Queen and her ladies were in formal dress for the afternoon teas. This simple cake was one of the Queen’s favorites. After her husband, Prince Albert, died in 1861, Queen Victoria spend time in retreat at the Queen’s residence (Osborn House) at the Isle of Wight. 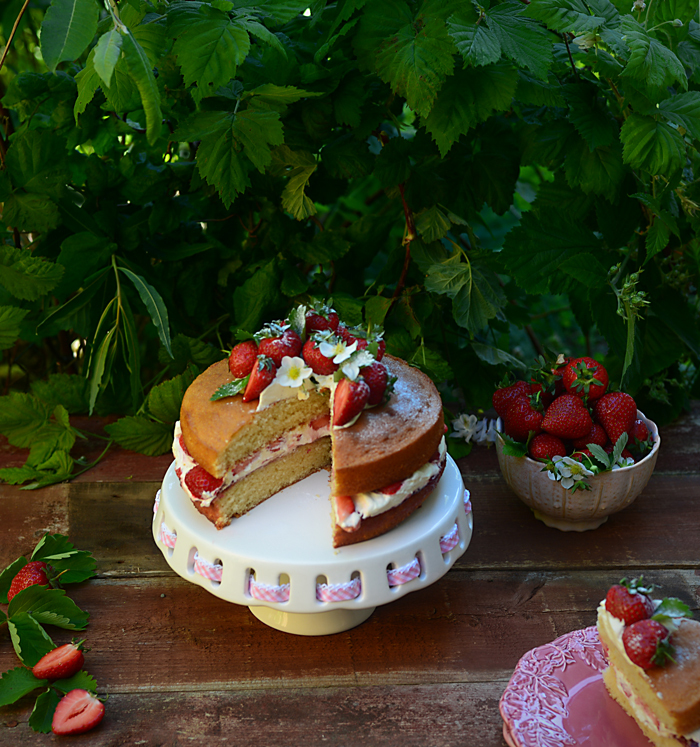 According to historians, it was here that the Victoria Sponge Cake were named after Queen Victoria. Today I'm not leaving you a recipe. I'm posting some facts and the origins of the famous and delightful Victoria Sponge but not a recipe! Though I've already made lots of Victoria Sponge Cakes, this recipe, I posted here, two years ago, is the only Victoria Sponge Cake I'm making now, year after year! 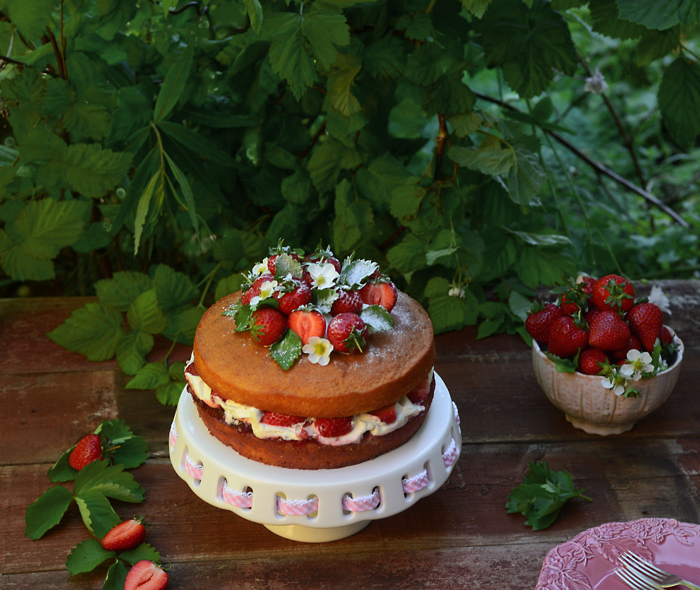 As soon as the great British strawberries are in season, aromatic and full of flavour, that's the Victoria Sponge Cake I'm making straightaway! The images I'm posting today, are the images from the cake I've made last week, from this same recipe!! so, if you want to try a very delicious Victoria Sponge Cake, you'll have to try this fantastic recipe, from Simmone Logue wonderful book "In the Kitchen"! 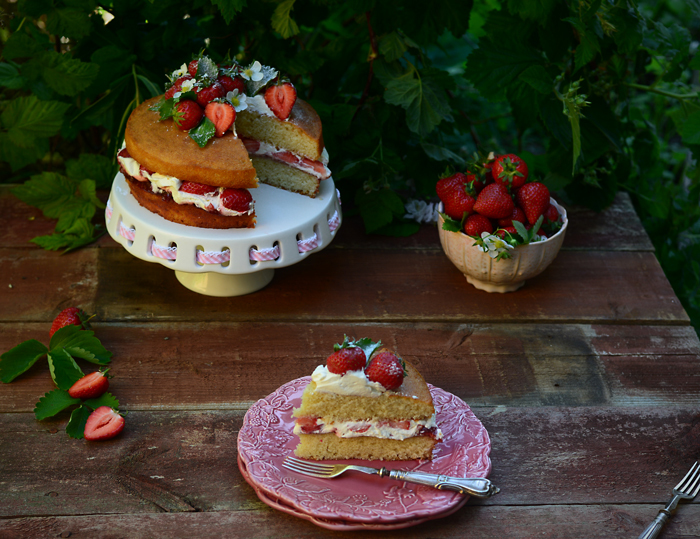 Victoria Sponge Cake é, como podem ler neste post da minha sócia Susana, o tema da 29ª edição do nosso Sweet World! 29ª edição acreditam?? ?Até me custa a acreditar como o tempo passa e este Sweet World continua a interessar pessoas ávidas de conhecimento e a despertar tanto interesse mês após mês. Não podia estar mais feliz!!! Hoje não vos trago uma receita! Trago-vos fotos do Victoria Sponge Cake que fiz a semana passada para este nosso Sweet World, pois a receita, a única que faço desde há dois anos a esta parte, já está publicada aqui, neste post de 2016! Confesso que já experimentei várias receitas de Victoria Sponge Cake ao longo dos anos e até os dois métodos mais utilizados na sua confecção foram experimentados. Notei diferenças aqui e ali..., mas nunca fiquei exageradamente apaixonada! Adoro a combinação de sabores do Victoria Sponge Cake, mas nunca nenhum me encheu as medidas como este! 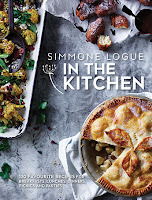 Aliás, por tanto gostar da combinação de sabores, fui experimentando e testando várias receitas ao longo dos anos, mas nunca nenhuma perfeita como esta da Simmone Logue e do seu lindíssimo livro "In the Kitchen" e por isso, para este Sweet World, nem dei oportunidade a mais nenhuma, pois esta, para mim, a perfeita! o "perfeito" Victoria Sponge Cake, tinha de ser a escolhida para este Sweet World que me enche o coração de alegria mês após mês. Não arriscaria uma receita que não fosse nada menos que PERFEITA!! Etiquetas: Cakes / Bolos., Cream / Natas., Jam / Doce., Simmone Logue., Strawberries / Morangos., Sweet World., Vanilla / Baunilha., Victoria Sponge.